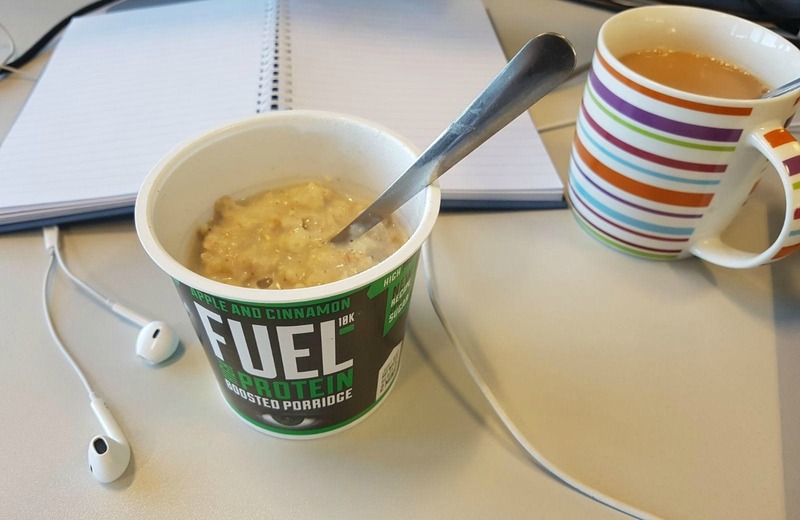 He started picking up these FUEL10K porridge pots a while ago, as an easy desk-fast option, and when I was sent a couple to try out, he quickly took these off my hands. 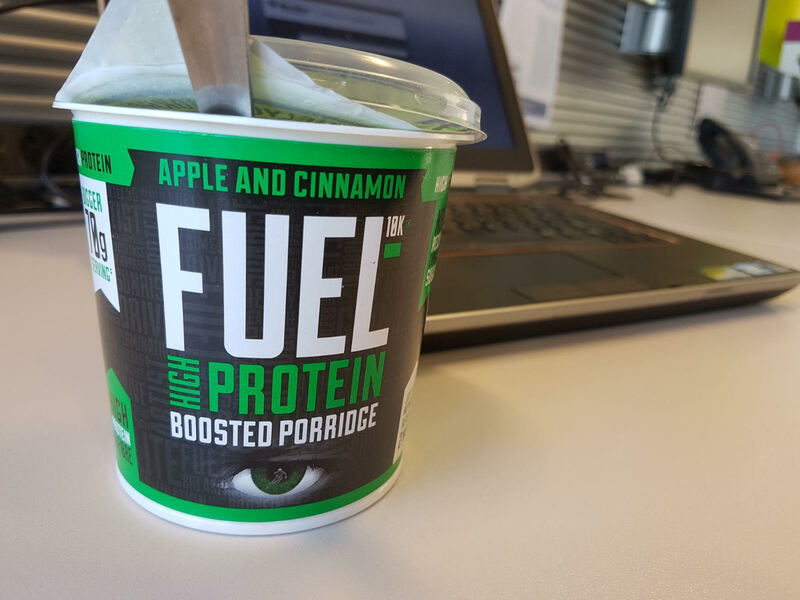 I'm reliable informed that the apple and cinnamon option is the best and that each tub is packed full or protein (13g to be precise in every 70g pot, plus plenty of fibre) to give you a great start to your day. 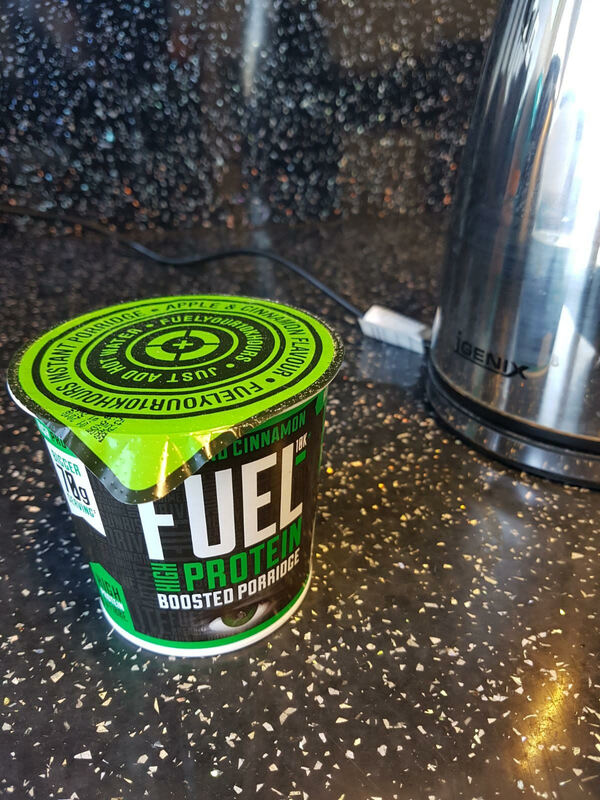 Prep time is easy too, so there isn't much of an excuse to skip the most important meal of the day. Other options include Original, Golden Syrup (a classic, if you ask me), Forest Fruits, Honey Nut and Raisin and Chocolate, all for a RRP of £1.19 each at Asda, Morrisons, The Co-op and online at FUEL10K. In the time it's taken you to read this post, your porridge would be ready to go. That's what I call a breakFAST!